Tyne and Wear is a county full of rich history and pride. Shipbuilding on the Tyne goes back decades but came into its own during the 1st and 2nd world wars when some of the greatest ever naval and commercial ships were built there by skilled local tradesmen. Newcastle United F.C. is a club built on history and pride for both players and supporters and over the years has become synonymous with the gritty determination of the local people in their pursuits. 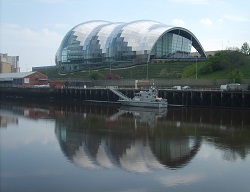 The area is famous for its hospitality and the nightlife of Newcastle upon Tyne is legendary. So many now famous historical figures were born in the area including the famous inventor William Armstrong. More recently though it’s probably the TV duo Ant and Dec who were both born in the area, as was James Herriot the famous veterinarian. If it’s a quieter backdrop you are looking for, the area has its much softer side with plenty of open countryside and footpaths to explore. A spa day in Tyne and Wear is the ideal tonic for anyone looking to take some “me” time with a partner or friends and just sit back and relax. The recently refurbished Montana Spa at the Mercure George Washington Hotel and Spa near Newcastle is the perfect venue for a spa day with numerous spa days to choose from. With easy road access and only 15 minutes from Newcastle and Sunderland, it’s the most perfect spa day venue in the area. To check availability on any of our spa days please call us on 0800 012 2000, we look forward to hearing from you.